A little back ground info for those scratching their hands in hearing about a Type III. 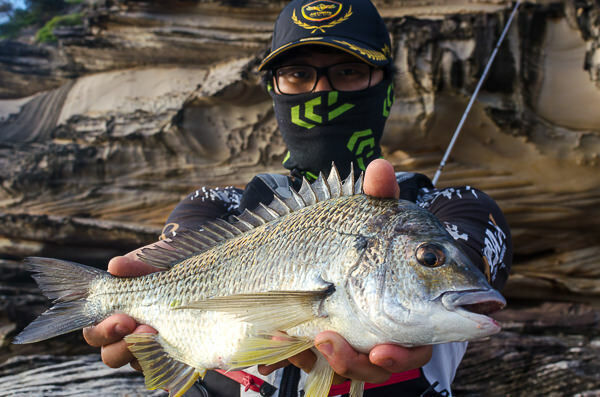 The team at IFL found a deficit in the ISO fishing scene whereby many ISO'ers seeking an affordable ISO rod that can withstand the power of a kingfish, groper and monster drummer in shallow water. We jumped onto the idea and designed a prototype which went through some vigorous testing before to completing the final model... For those who very patiently pre-ordered, waited and picked up your rods a big THANK YOU! Without further ado, the first ISO Fishing session of 2018 featuring the spanking new IFL Excalibur Type III. After a treacherous 2 months of robotic work at the shop throughout Christmas & new years we finally managed to sneak out for a morning fish. It was a small group with William, Jay Yang (not IFL Jay) and myself. 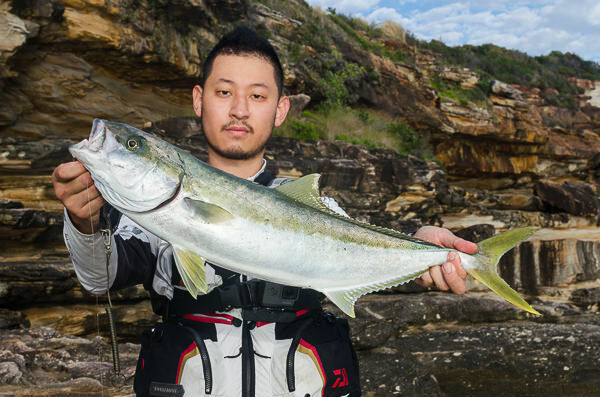 Since the release of the Type III last week, we spared no time and got straight back into it and decided to chase kingfish. The burley was prepped the night before, accessories re-stocked and off we went. The session was short and sweet from 6:30am - 830am. Jay was spinning, William I equipped the Type III's and began fishing with strips of fresh calamari with nothing but pickers. We began to burley hard and eventually the kingfish came to join. Spooking the school of yellowtail around they cruised back and forth, but strangely wouldn't eat the strips of calamari so I opted for plan B after I saw them feeding on the burley. William was the first to lock up as his float drained down and the rod buckled over. Excited, William was fighting the fish but it surfaced quickly and ended up being a nice bream around the 35cm mark that was released after a quick photo. A few pieces of pilchards were still intact in the burley mix so I put half a pillie onto the razor sharp HITENA hook and within minutes I was onto a rat king after many months of chasing them. 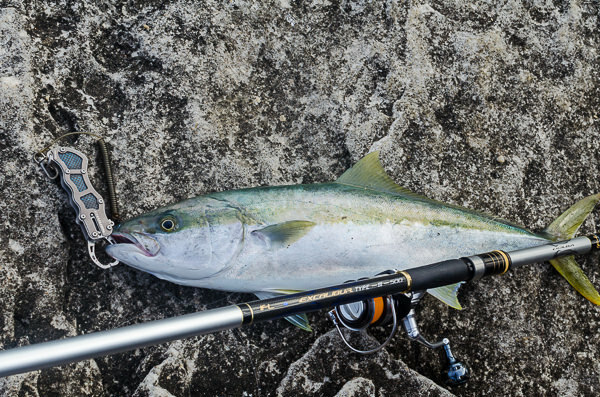 The kingfish fought hard, but the backbone of the Type III was plenty to surface the fish for half of the fight and eventually with the helped of Jay a 72cm kingfish on the Type III was landed - good way to christen the rod. After landing the fish I helped William drift for some kingfish and within a few minutes he was also onto his first kingfish. A small mistake was made as his drag was too light which allowed the kingfish gain a head start and ran towards the reef as he adjusted the drag. The kingfish went for a second.... and third dive as it hit the reef and busted him off. By the end of this, the fishing slowed down so we packed it up and called it quits. Overall, the power of the Type III is on beastmode and should be manageable for a much larger kingfish too.